Scores 40 Highway MPG and 30 City MPG! This Volkswagen Jetta boasts a Intercooled Turbo Regular Unleaded I-4 1.4 L/85 engine powering this Manual transmission. TITAN BLACK, CLOTH SEAT TRIM, PURE WHITE, MONSTER MATS W/LOGO RUBBER MATS KIT (SET OF 4) -inc: heavy duty trunk liner w/VW CarGo blocks. * This Volkswagen Jetta Features the Following Options *BUMPERDILLO PROTECTION PLATE FOR REAR BUMPER, Window Grid Diversity Antenna, Wheels: 16 Silver Rama, Variable Intermittent Wipers, Urethane Gear Shift Knob, Trunk Rear Cargo Access, Trip Computer, Transmission: 6-Speed Manual, Torsion Beam Rear Suspension w/Coil Springs, Tires: 16 All-Season. * Visit Us Today *Come in for a quick visit at Gunther Volkswagen of Fort Lauderdale, 1660 S State Rd 7, Fort Lauderdale, FL 33317 to claim your Volkswagen Jetta! Boasts 40 Highway MPG and 30 City MPG! This Volkswagen Jetta delivers a Intercooled Turbo Regular Unleaded I-4 1.4 L/85 engine powering this Manual transmission. TITAN BLACK, CLOTH SEAT TRIM, MONSTER MATS W/LOGO RUBBER MATS KIT (SET OF 4) -inc: heavy duty trunk liner w/VW CarGo blocks, BUMPERDILLO PROTECTION PLATE FOR REAR BUMPER. * This Volkswagen Jetta Features the Following Options *BLACK UNI, Window Grid Diversity Antenna, Wheels: 16 Silver Rama, Variable Intermittent Wipers, Urethane Gear Shift Knob, Trunk Rear Cargo Access, Trip Computer, Transmission: 6-Speed Manual, Torsion Beam Rear Suspension w/Coil Springs, Tires: 16 All-Season. * Stop By Today *A short visit to Gunther Volkswagen of Fort Lauderdale located at 1660 S State Rd 7, Fort Lauderdale, FL 33317 can get you a dependable Jetta today! Scores 40 Highway MPG and 30 City MPG! This Volkswagen Jetta delivers a Intercooled Turbo Regular Unleaded I-4 1.4 L/85 engine powering this Manual transmission. TITAN BLACK, CLOTH SEAT TRIM, MONSTER MATS W/LOGO RUBBER MATS KIT (SET OF 4) -inc: heavy duty trunk liner w/VW CarGo blocks, DRIVER ASSISTANCE PACKAGE -inc: blind spot monitor w/rear traffic alert, heated side mirrors, forward collision warning, Autonomous Emergency Braking (AEB) and pedestrian monitoring. *This Volkswagen Jetta Comes Equipped with These Options *Window Grid Diversity Antenna, Wheels: 16 Silver Rama, Variable Intermittent Wipers, Urethane Gear Shift Knob, Trunk Rear Cargo Access, Trip Computer, Transmission: 6-Speed Manual, Torsion Beam Rear Suspension w/Coil Springs, Tires: 16 All-Season, Systems Monitor. * Stop By Today *Treat yourself- stop by Gunther Volkswagen of Fort Lauderdale located at 1660 S State Rd 7, Fort Lauderdale, FL 33317 to make this car yours today! Boasts 40 Highway MPG and 30 City MPG! This Volkswagen Jetta boasts a Intercooled Turbo Regular Unleaded I-4 1.4 L/85 engine powering this Manual transmission. TITAN BLACK, CLOTH SEAT TRIM, MONSTER MATS W/LOGO RUBBER MATS KIT (SET OF 4) -inc: heavy duty trunk liner w/VW CarGo blocks, DRIVER ASSISTANCE PACKAGE -inc: blind spot monitor w/rear traffic alert, heated side mirrors, forward collision warning, Autonomous Emergency Braking (AEB) and pedestrian monitoring. * This Volkswagen Jetta Features the Following Options *Window Grid Diversity Antenna, Wheels: 16 Silver Rama, Variable Intermittent Wipers, Urethane Gear Shift Knob, Trunk Rear Cargo Access, Trip Computer, Transmission: 6-Speed Manual, Torsion Beam Rear Suspension w/Coil Springs, Tires: 16 All-Season, Systems Monitor. * Visit Us Today *Live a little- stop by Gunther Volkswagen of Fort Lauderdale located at 1660 S State Rd 7, Fort Lauderdale, FL 33317 to make this car yours today! Boasts 40 Highway MPG and 30 City MPG! This Volkswagen Jetta delivers a Intercooled Turbo Regular Unleaded I-4 1.4 L/85 engine powering this Manual transmission. TITAN BLACK, CLOTH SEAT TRIM, PLATINUM GRAY METALLIC, MONSTER MATS W/LOGO RUBBER MATS KIT (SET OF 4) -inc: heavy duty trunk liner w/VW CarGo blocks. *This Volkswagen Jetta Comes Equipped with These Options *DRIVER ASSISTANCE PACKAGE -inc: blind spot monitor w/rear traffic alert, heated side mirrors, forward collision warning, Autonomous Emergency Braking (AEB) and pedestrian monitoring , Window Grid Diversity Antenna, Wheels: 16 Silver Rama, Variable Intermittent Wipers, Urethane Gear Shift Knob, Trunk Rear Cargo Access, Trip Computer, Transmission: 6-Speed Manual, Torsion Beam Rear Suspension w/Coil Springs, Tires: 16 All-Season. * Stop By Today *For a must-own Volkswagen Jetta come see us at Gunther Volkswagen of Fort Lauderdale, 1660 S State Rd 7, Fort Lauderdale, FL 33317. Just minutes away! Scores 40 Highway MPG and 30 City MPG! This Volkswagen Jetta delivers a Intercooled Turbo Regular Unleaded I-4 1.4 L/85 engine powering this Manual transmission. TITAN BLACK, CLOTH SEAT TRIM, MONSTER MATS W/LOGO RUBBER MATS KIT (SET OF 4) -inc: heavy duty trunk liner w/VW CarGo blocks, DRIVER ASSISTANCE PACKAGE -inc: blind spot monitor w/rear traffic alert, heated side mirrors, forward collision warning, Autonomous Emergency Braking (AEB) and pedestrian monitoring. * This Volkswagen Jetta Features the Following Options *Window Grid Diversity Antenna, Wheels: 16 Silver Rama, Variable Intermittent Wipers, Urethane Gear Shift Knob, Trunk Rear Cargo Access, Trip Computer, Transmission: 6-Speed Manual, Torsion Beam Rear Suspension w/Coil Springs, Tires: 16 All-Season, Systems Monitor. * Visit Us Today *Stop by Gunther Volkswagen of Fort Lauderdale located at 1660 S State Rd 7, Fort Lauderdale, FL 33317 for a quick visit and a great vehicle! Delivers 40 Highway MPG and 30 City MPG! This Volkswagen Jetta delivers a Intercooled Turbo Regular Unleaded I-4 1.4 L/85 engine powering this Manual transmission. TITAN BLACK, CLOTH SEAT TRIM, PLATINUM GRAY METALLIC, MONSTER MATS W/LOGO RUBBER MATS KIT (SET OF 4) -inc: heavy duty trunk liner w/VW CarGo blocks. * This Volkswagen Jetta Features the Following Options *DRIVER ASSISTANCE PACKAGE -inc: blind spot monitor w/rear traffic alert, heated side mirrors, forward collision warning, Autonomous Emergency Braking (AEB) and pedestrian monitoring , Window Grid Diversity Antenna, Wheels: 16 Silver Rama, Variable Intermittent Wipers, Urethane Gear Shift Knob, Trunk Rear Cargo Access, Trip Computer, Transmission: 6-Speed Manual, Torsion Beam Rear Suspension w/Coil Springs, Tires: 16 All-Season. * Visit Us Today *Test drive this must-see, must-drive, must-own beauty today at Gunther Volkswagen of Fort Lauderdale, 1660 S State Rd 7, Fort Lauderdale, FL 33317. Scores 40 Highway MPG and 30 City MPG! This Volkswagen Jetta boasts a Intercooled Turbo Regular Unleaded I-4 1.4 L/85 engine powering this Manual transmission. TITAN BLACK, CLOTH SEAT TRIM, MONSTER MATS W/LOGO RUBBER MATS KIT (SET OF 4) -inc: heavy duty trunk liner w/VW CarGo blocks, DRIVER ASSISTANCE PACKAGE -inc: blind spot monitor w/rear traffic alert, heated side mirrors, forward collision warning, Autonomous Emergency Braking (AEB) and pedestrian monitoring. *This Volkswagen Jetta Comes Equipped with These Options *Window Grid Diversity Antenna, Wheels: 16 Silver Rama, Variable Intermittent Wipers, Urethane Gear Shift Knob, Trunk Rear Cargo Access, Trip Computer, Transmission: 6-Speed Manual, Torsion Beam Rear Suspension w/Coil Springs, Tires: 16 All-Season, Systems Monitor. * Stop By Today *Come in for a quick visit at Gunther Volkswagen of Fort Lauderdale, 1660 S State Rd 7, Fort Lauderdale, FL 33317 to claim your Volkswagen Jetta! Boasts 40 Highway MPG and 30 City MPG! This Volkswagen Jetta boasts a Intercooled Turbo Regular Unleaded I-4 1.4 L/85 engine powering this Manual transmission. TITAN BLACK, CLOTH SEAT TRIM, MONSTER MATS W/LOGO RUBBER MATS KIT (SET OF 4) -inc: heavy duty trunk liner w/VW CarGo blocks, DRIVER ASSISTANCE PACKAGE -inc: blind spot monitor w/rear traffic alert, heated side mirrors, forward collision warning, Autonomous Emergency Braking (AEB) and pedestrian monitoring. * This Volkswagen Jetta Features the Following Options *BLACK UNI, Window Grid Diversity Antenna, Wheels: 16 Silver Rama, Variable Intermittent Wipers, Urethane Gear Shift Knob, Trunk Rear Cargo Access, Trip Computer, Transmission: 6-Speed Manual, Torsion Beam Rear Suspension w/Coil Springs, Tires: 16 All-Season. * Visit Us Today *Test drive this must-see, must-drive, must-own beauty today at Gunther Volkswagen of Fort Lauderdale, 1660 S State Rd 7, Fort Lauderdale, FL 33317. Boasts 40 Highway MPG and 30 City MPG! This Volkswagen Jetta boasts a Intercooled Turbo Regular Unleaded I-4 1.4 L/85 engine powering this Manual transmission. TITAN BLACK, CLOTH SEAT TRIM, MONSTER MATS W/LOGO RUBBER MATS KIT (SET OF 4) -inc: heavy duty trunk liner w/VW CarGo blocks, BUMPERDILLO PROTECTION PLATE FOR REAR BUMPER. *This Volkswagen Jetta Comes Equipped with These Options *BLACK UNI, Window Grid Diversity Antenna, Wheels: 16 Silver Rama, Variable Intermittent Wipers, Urethane Gear Shift Knob, Trunk Rear Cargo Access, Trip Computer, Transmission: 6-Speed Manual, Torsion Beam Rear Suspension w/Coil Springs, Tires: 16 All-Season. * Visit Us Today *You've earned this- stop by Gunther Volkswagen of Fort Lauderdale located at 1660 S State Rd 7, Fort Lauderdale, FL 33317 to make this car yours today! Delivers 40 Highway MPG and 30 City MPG! This Volkswagen Jetta delivers a Intercooled Turbo Regular Unleaded I-4 1.4 L/85 engine powering this Automatic transmission. TORNADO RED, TITAN BLACK, CLOTH SEAT TRIM, ROADSIDE ASSISTANCE KIT -inc: booster cables, warning triangle, LED flashlight, work gloves, multi-tool, and more. *This Volkswagen Jetta Comes Equipped with These Options *MONSTER MATS W/LOGO RUBBER MATS KIT (SET OF 4) -inc: heavy duty trunk liner w/VW CarGo blocks, Window Grid Diversity Antenna, Wheels: 16 Silver Rama, Variable Intermittent Wipers, Urethane Gear Shift Knob, Trunk Rear Cargo Access, Trip Computer, Transmission: 8-Speed Automatic w/Tiptronic -inc: sport mode, Torsion Beam Rear Suspension w/Coil Springs, Tires: 16 All-Season. 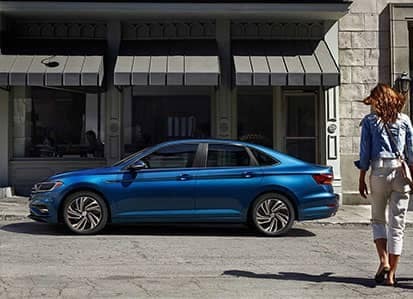 * Visit Us Today *For a must-own Volkswagen Jetta come see us at Gunther Volkswagen of Fort Lauderdale, 1660 S State Rd 7, Fort Lauderdale, FL 33317. Just minutes away! Boasts 40 Highway MPG and 30 City MPG! This Volkswagen Jetta delivers a Intercooled Turbo Regular Unleaded I-4 1.4 L/85 engine powering this Automatic transmission. TORNADO RED, TITAN BLACK, CLOTH SEAT TRIM, MONSTER MATS W/LOGO RUBBER MATS KIT (SET OF 4) -inc: heavy duty trunk liner w/VW CarGo blocks. *This Volkswagen Jetta Comes Equipped with These Options *Window Grid Diversity Antenna, Wheels: 16 Silver Rama, Variable Intermittent Wipers, Urethane Gear Shift Knob, Trunk Rear Cargo Access, Trip Computer, Transmission: 8-Speed Automatic w/Tiptronic -inc: sport mode, Torsion Beam Rear Suspension w/Coil Springs, Tires: 16 All-Season, Systems Monitor. * Stop By Today *Treat yourself- stop by Gunther Volkswagen of Fort Lauderdale located at 1660 S State Rd 7, Fort Lauderdale, FL 33317 to make this car yours today! Boasts 40 Highway MPG and 30 City MPG! This Volkswagen Jetta delivers a Intercooled Turbo Regular Unleaded I-4 1.4 L/85 engine powering this Automatic transmission. STORM GRAY, CLOTH SEAT TRIM, MONSTER MATS W/LOGO RUBBER MATS KIT (SET OF 4) -inc: heavy duty trunk liner w/VW CarGo blocks, DRIVER ASSISTANCE PACKAGE -inc: blind spot monitor w/rear traffic alert, heated side mirrors, forward collision warning, Autonomous Emergency Braking (AEB) and pedestrian monitoring. *This Volkswagen Jetta Comes Equipped with These Options *BLACK UNI, Window Grid Diversity Antenna, Wheels: 16 Silver Rama, Variable Intermittent Wipers, Urethane Gear Shift Knob, Trunk Rear Cargo Access, Trip Computer, Transmission: 8-Speed Automatic w/Tiptronic -inc: sport mode, Torsion Beam Rear Suspension w/Coil Springs, Tires: 16 All-Season. * Stop By Today *Live a little- stop by Gunther Volkswagen of Fort Lauderdale located at 1660 S State Rd 7, Fort Lauderdale, FL 33317 to make this car yours today! Scores 40 Highway MPG and 30 City MPG! This Volkswagen Jetta boasts a Intercooled Turbo Regular Unleaded I-4 1.4 L/85 engine powering this Automatic transmission. STORM GRAY, CLOTH SEAT TRIM, MONSTER MATS W/LOGO RUBBER MATS KIT (SET OF 4) -inc: heavy duty trunk liner w/VW CarGo blocks, DRIVER ASSISTANCE PACKAGE -inc: blind spot monitor w/rear traffic alert, heated side mirrors, forward collision warning, Autonomous Emergency Braking (AEB) and pedestrian monitoring. * This Volkswagen Jetta Features the Following Options *BLACK UNI, Window Grid Diversity Antenna, Wheels: 16 Silver Rama, Variable Intermittent Wipers, Urethane Gear Shift Knob, Trunk Rear Cargo Access, Trip Computer, Transmission: 8-Speed Automatic w/Tiptronic -inc: sport mode, Torsion Beam Rear Suspension w/Coil Springs, Tires: 16 All-Season. * Visit Us Today *You've earned this- stop by Gunther Volkswagen of Fort Lauderdale located at 1660 S State Rd 7, Fort Lauderdale, FL 33317 to make this car yours today! Boasts 40 Highway MPG and 30 City MPG! This Volkswagen Jetta delivers a Intercooled Turbo Regular Unleaded I-4 1.4 L/85 engine powering this Automatic transmission. STORM GRAY, CLOTH SEAT TRIM, MONSTER MATS W/LOGO RUBBER MATS KIT (SET OF 4) -inc: heavy duty trunk liner w/VW CarGo blocks, DRIVER ASSISTANCE PACKAGE -inc: blind spot monitor w/rear traffic alert, heated side mirrors, forward collision warning, Autonomous Emergency Braking (AEB) and pedestrian monitoring. *This Volkswagen Jetta Comes Equipped with These Options *BLACK UNI, Window Grid Diversity Antenna, Wheels: 16 Silver Rama, Variable Intermittent Wipers, Urethane Gear Shift Knob, Trunk Rear Cargo Access, Trip Computer, Transmission: 8-Speed Automatic w/Tiptronic -inc: sport mode, Torsion Beam Rear Suspension w/Coil Springs, Tires: 16 All-Season. * Visit Us Today *A short visit to Gunther Volkswagen of Fort Lauderdale located at 1660 S State Rd 7, Fort Lauderdale, FL 33317 can get you a trustworthy Jetta today! Delivers 40 Highway MPG and 30 City MPG! This Volkswagen Jetta boasts a Intercooled Turbo Regular Unleaded I-4 1.4 L/85 engine powering this Automatic transmission. STORM GRAY, CLOTH SEAT TRIM, ROADSIDE ASSISTANCE KIT -inc: booster cables, warning triangle, LED flashlight, work gloves, multi-tool, and more, MONSTER MATS W/LOGO RUBBER MATS KIT (SET OF 4) -inc: heavy duty trunk liner w/VW CarGo blocks. * This Volkswagen Jetta Features the Following Options *DRIVER ASSISTANCE PACKAGE -inc: blind spot monitor w/rear traffic alert, heated side mirrors, forward collision warning, Autonomous Emergency Braking (AEB) and pedestrian monitoring , HABANERO ORANGE METALLIC, Window Grid Diversity Antenna, Wheels: 16 Silver Rama, Variable Intermittent Wipers, Urethane Gear Shift Knob, Trunk Rear Cargo Access, Trip Computer, Transmission: 8-Speed Automatic w/Tiptronic -inc: sport mode, Torsion Beam Rear Suspension w/Coil Springs. * Stop By Today *Stop by Gunther Volkswagen of Fort Lauderdale located at 1660 S State Rd 7, Fort Lauderdale, FL 33317 for a quick visit and a great vehicle! Boasts 40 Highway MPG and 30 City MPG! This Volkswagen Jetta delivers a Intercooled Turbo Regular Unleaded I-4 1.4 L/85 engine powering this Automatic transmission. STORM GRAY/BLACK, PERFORATED V-TEX LEATHERETTE SEAT TRIM, MONSTER MATS W/LOGO RUBBER MATS KIT (SET OF 4) -inc: heavy duty trunk liner w/VW CarGo blocks, HABANERO ORANGE METALLIC. * This Volkswagen Jetta Features the Following Options *Window Grid Diversity Antenna, Wheels: 17 Trenton, Variable Intermittent Wipers, Trunk Rear Cargo Access, Trip Computer, Transmission: 8-Speed Automatic w/Tiptronic -inc: sport mode, Torsion Beam Rear Suspension w/Coil Springs, Tires: 17 All-Season, Systems Monitor, Strut Front Suspension w/Coil Springs. 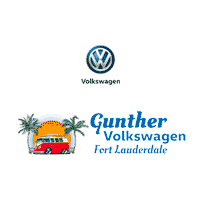 * Visit Us Today *Stop by Gunther Volkswagen of Fort Lauderdale located at 1660 S State Rd 7, Fort Lauderdale, FL 33317 for a quick visit and a great vehicle!